“Anyone, Anything, Any time”. This is the essence of Emergency Medicine and Critical Care: the need to be the Master of all trades in order to manage each and every acute patient presentation. This is what attracted me to the field. 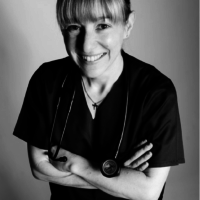 I have a broad range of interests including critical care, education, burnout, blood pressure measurement, ultrasound, echocardiography, paediatric drug dosing, procedural sedation and point-of-care testing. I have published on the topics of blood pressure, ultrasound, venous thromboembolism and paediatric emergencies but my current main research interest is Point-of-Care testing.